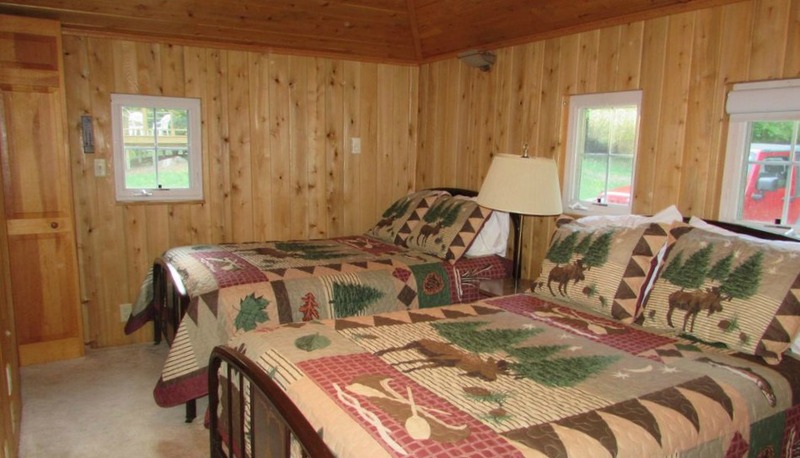 Enjoy your stay near Munising in this old-school cabin retreat. Nothing fancy here. 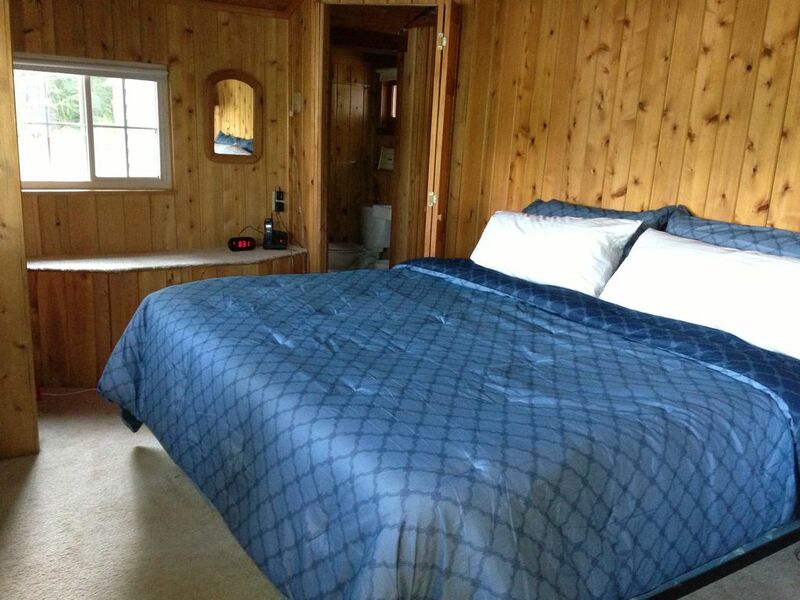 Just soak in the lake and some comfortable creature comforts (WiFi, washer/dryer, 2 bathrooms) close to Pictured Rocks. 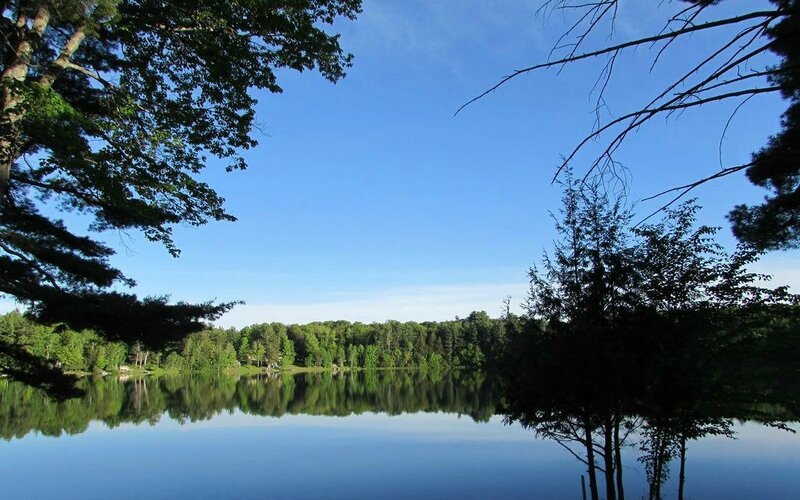 Town Lake is located just 12.8 miles south of Munising. 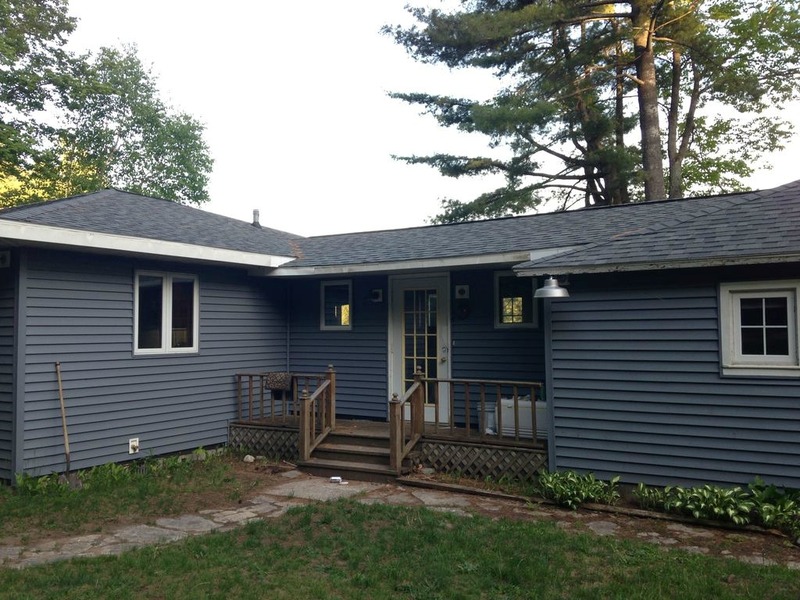 The simple ranch style cottage has 2 bedrooms. One bedroom has a King bed and a room with 2 double beds. 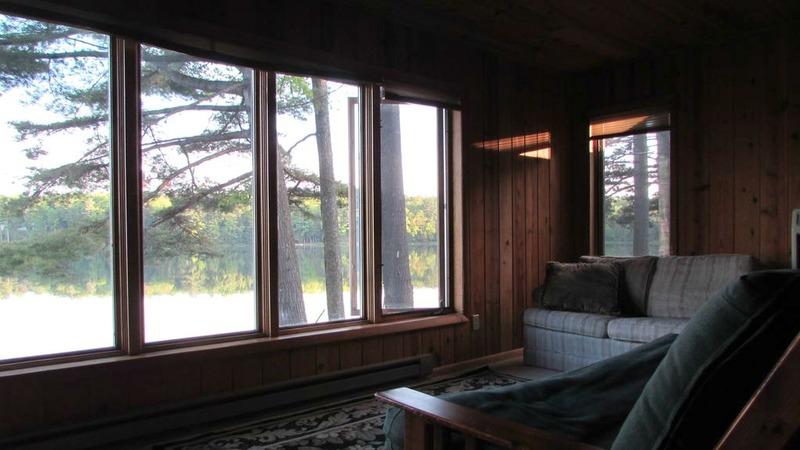 Turtle Cove has a large living/dining room to enjoy the relaxing view of the lake or watch TV. 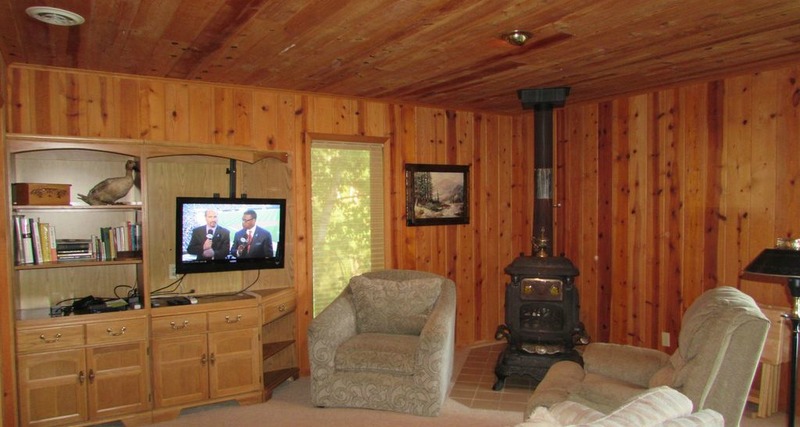 Cabin is equipped with high speed WiFi and DirectTV. There is also a cell phone booster for those of you that have Verizon. The living area includes a futon and a sleeper sofa as well. The kitchen has an oven, microwave, refrigerator, coffee maker, blender, toaster, silverware and dishes for your use. Two bathrooms each have their own shower, one of which is between the bedrooms. A washer and dryer is located within one of the bathrooms. A propane grill and fire pit are lakeside. Town Lake is known to be a good swimming/fishing/and quiet boating lake. Pete's Lake nearby is known as the all-sports lake. 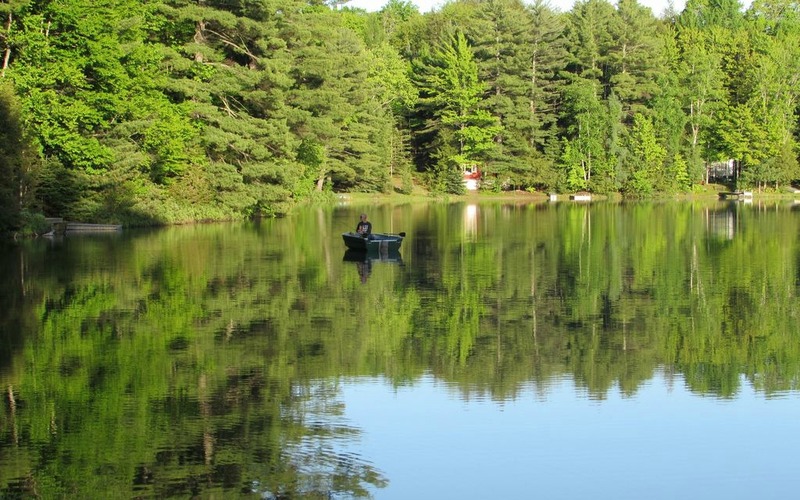 The cottage is only a couple hundred yards from Forest Glen General Store (906) 573-2655 where gas, boats, jet skis, pontoons, bait and ice cream can be enjoyed. *Pets are welcome! Freshwater Vacation Rentals currently charges $50/per pet. Pictured Rocks National Lakeshore: Only 25 minutes away on Lake Superior in Munising. Below are just a few of the things that you will find in Munising and Pictured Rocks National Lakeshore area. Miners Falls: it is a waterfall located on Miners River in the western portion of the Pictured Rocks National Lakeshore in Alger County, Michigan. The falls drops about 40 feet over a sandstone outcrop with a 10-foot crest. Garden Bay Winery: About 40 mins away in Cooks, MI (20 miles west of Manistique) on US Hwy 2. also have a wine tasting room where you can sample their wine. 65 miles to Escanaba (ESC) normally has the best rates. Flying to the Upper Peninsula is rarely at a discount. Boat Launch: Town Lake is a private lake which is unofficially a no-wake lake. It is a quiet lake. You can rent a boat the Forest Glen General Store across the lake and launch from there. There is no official launch for Town Lake at Turtle Cove. There is not a public launch on the lake. A small boat may be possible to launch, yet it is not recommended. Fishing: A variety of pan fish, including redbreast sunfish, redear sunfish and largemouth bass. You are required to purchase a fishing license. You can purchase an e-license from the DNR by clicking here. Swimming: Not a traditional swimming beach. The entire lake is hard sandy bottom. You can swim here-but the lake does get deep pretty quickly, so small kids should be monitored closely. The first 10 feet from shore goes from 0 ft to 2 ft. the next 10 ft from shore goes from 2 ft. to 5-6 ft. then drops to 12 ft. pretty quickly. There is a more traditional shallow water beach less than 1 mile away at Pete's Lake Day Use Area. Pet: 1 pet is allowed (no weight limit). Freshwater Vacation Rentals currently charges a one time pet fee of $50/ stay. The house was beautiful located and very quite. We enjoyed our stay very much. Emma, we are so happy that you enjoyed your stay at Turtle Cove on Town Lake, and we hope to work with you again! Rachael, we are so happy that you chose Turtle Cove for your vacation, and that it was everything you were hoping for. Aren't Pictured Rocks incredible? We're hoping that you use Freshwater Vacation Rentals again. 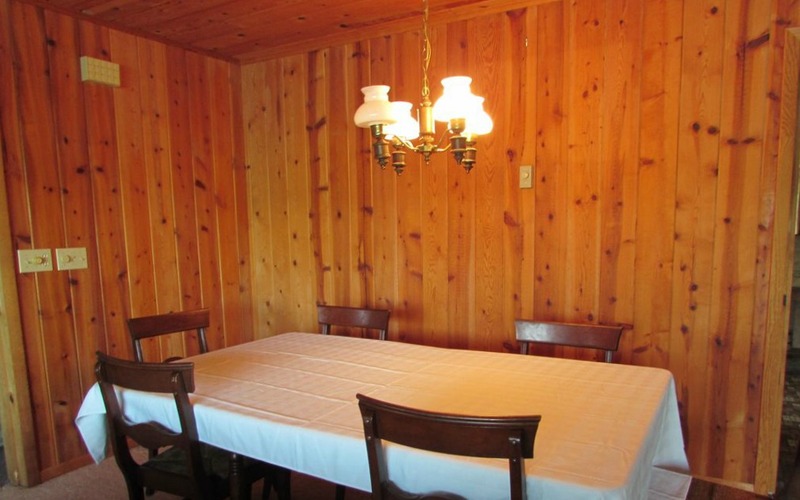 If you are looking for a fancy cabin, this isn't for you! However, if you want a family friendly location, you have found the spot. Plenty of room inside so the kids don't drive you crazy. Kayaks to enjoy the lake. If it rains there is satellite and wifi, but it's okay to pretend the wifi is broken. This was our first trip to the area, and we are already planning the next visit. Thank you for sharing this home with us! We are so happy that you had a great vacation at Turtle Cove. It is the perfect place to go to unwind. We'd love to have you back again! The Cabin was great!!! The living space was larger than expected. Pictures did not do this place justice! Quiet lake. Everything we needed. Great location. We will definitely be back again. We are so happy that you enjoyed Turtle Cove on Town Lake. We look forward to seeing you again! great fishing, owners left tea and coffee for us in a big kitchen. back in the forest in a quiet and secluded spot but close to a little store where i could get tackle and the few groceries we didn't bring. We are so thrilled you enjoyed your stay! Yes, the little store close-by is extremely convenient. 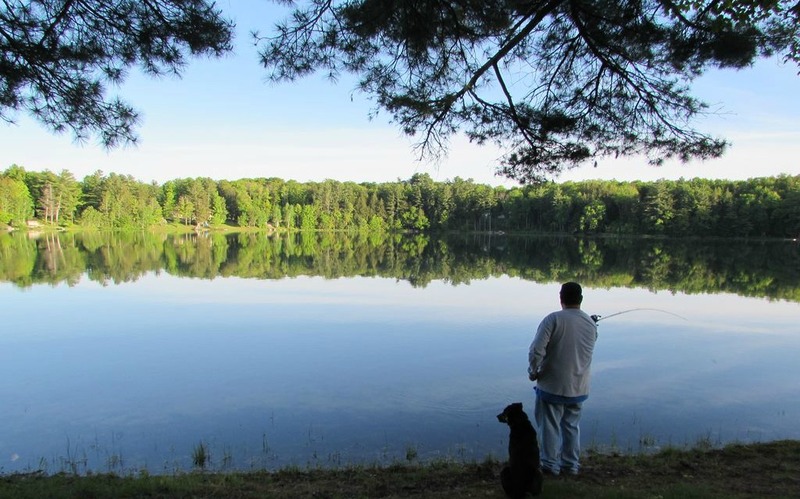 We hope you consider booking with Freshwater in the future for your next Michigan adventure. We have 54 other properties to choose from as well. We had a wonderful time at Turtle Cove. We spent our days hiking and kayaking Pictured Rocks and a couple days fishing Town Lake. The house was very nice for our family. We were concerned with the light switch in the small bathroom, there seems to be a bad connection. Also housekeeping could be better but everyone has different standards. Overall it was a wonderful week. Thank you for your feedback, and rest assured it is noted. I will let our Director of Cleaners know and have put in a maintenance request for the light. Thank you, again. We are thrilled you enjoyed your stay! It is a great jumping point to a variety of attractions in the area. Please consider checking out our 54 other properties next time you book your Michigan adventure! the cabin was way nicer then the pics! had a small little problem when we got there but it was taken care of right away. it was a nice quiet lake, caught lots of fish, loved how peaceful it was at night sitting next to the bonfire. beds were amazing! My family wants to make it a yearly event! We would love to host your family again! We love the fishing as well. Ugh...and the beds are super comfortable there. Thank you for the positive feedback on a place we absolutely love! Be sure to check out our 54 other waterfront properties next time you plan your Michigan adventure! Great place on the lake!